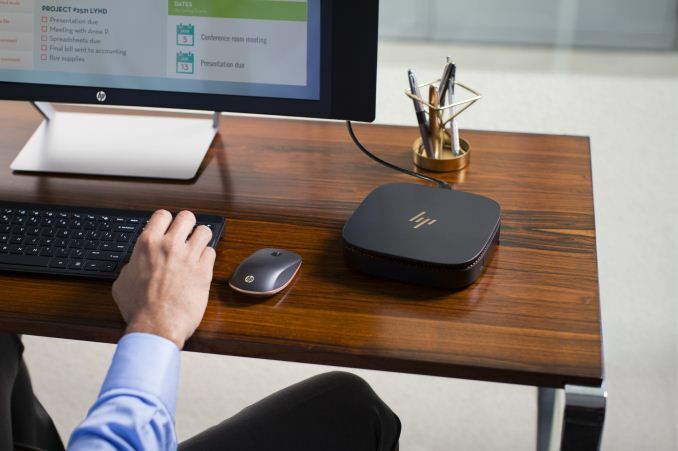 HP has announced two mini PCs today, but unlike some of the small boxes we’ve seen, HP has created a couple of stylish cases which fit in well with the new design language HP has been going for over the last couple of years. First is the HP Pavilion Wave, which is a pretty unique looking PC. 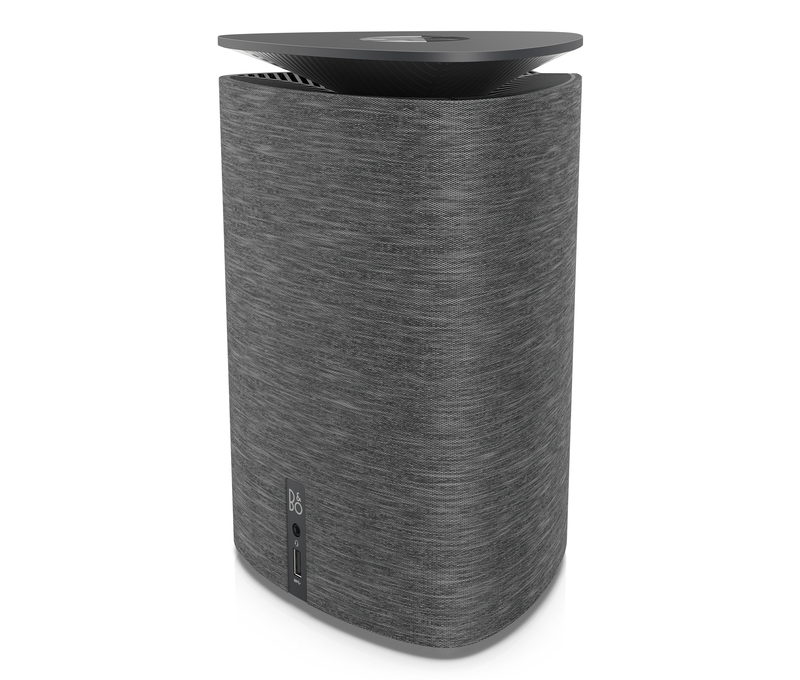 First of all, it’s a triangular design, and the top of the unit features a parabolic reflector and speaker, and it features dual-microphones to allow voice interaction with the PC over Cortana, or to assist with voice chats and the like. The finish on the Wave is very interesting, but it doesn’t compress well so please check out the full size image. The unit itself is a bit larger than it appears, and it has support for up to quad-core desktop processors, 2 TB of HDD, and 128 GB SSD with 16 GB of DDR4 memory. Optionally, it can be equipped with a Radeon R9 M470 for some light gaming or compute. The HP Pavilion Wave starts at $549.99 with expected availability on September 23rd. We don’t have the full specifications yet but will reach out to HP for more information. The second desktop is more in the NUC form factor, but with the same color scheme as the latest HP laptops with a dark finish and copper accents. The HP Elite Slice is a modular desktop aimed at the commercial buyer, but with a form factor and price that would certainly appeal to consumers as well. 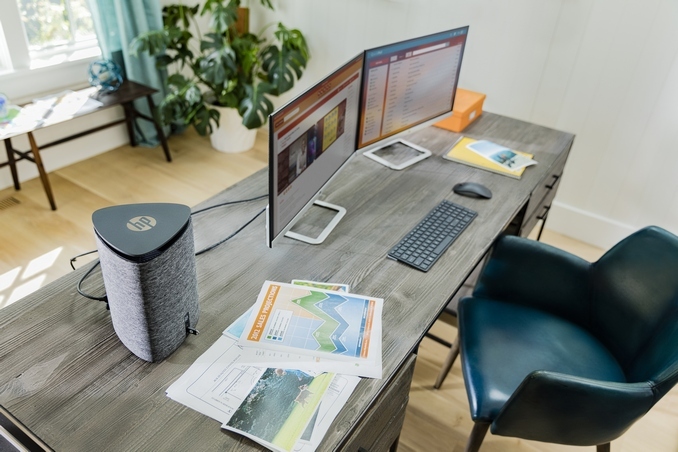 The unit can be connected and powered over a single USB 3.1 cable, and HP is announcing a corresponding QuadHD EliteDisplay S240uj monitor which offers USB 3.1 connectivity. 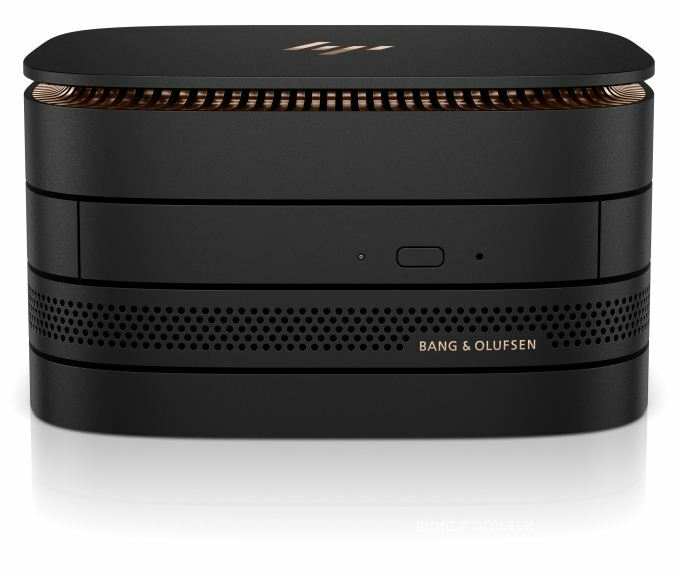 Being modular, HP is offering several stackable options to expand the capabilities including an audio module with Bang & Olufsen speakers, wireless charging cover, collaboration cover for use as a conference phone, and even an optical disk drive which can still be required in a lot of business PCs. The Elite Slice is 6.5” on both sides and 1.38” thick, and weighs 2.31 pounds. It is powered by up to 35-Watt quad-core i7-6700T CPU, 512 GB of NVMe storage, 802.11ac, Gigabit, USB, DisplayPort, and HDMI. As with the Wave, we don’t have the full specifications, but it’s expected to be available in September starting at $699. 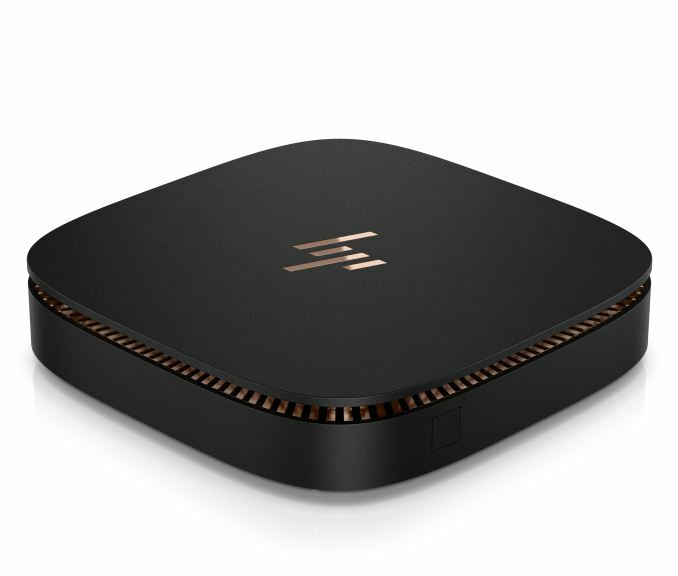 HP is also announcing the HP Elite Slice for Meeting Rooms which combines the Slice with the Collaboration Cover and Audio Module and software features to offer one-touch meetings. This version will be available from $949 in September. The EliteDisplay starts at $429 with an October availability. I think it would be hard to dispute that HP has really turned a corner, with some innovative designs that stand out from the desktop crowd. In the final sentence, did you mean to say "I think it would be hard to dispute that..." ? The variety of form factors for Windows PCs has been amazing/nuts these past 5 or so years. Not sure that either of these is really that practical compared with a normal desktop, but they're fun designs!